I saw a picture of a young Colin McRae and Robbie Head working on a Nova bodyshell in a garage on somebody's Facebook page the other day - but I can't find it again! Well, here's another one. If the other pic was a 'before' then this is the 'after'. 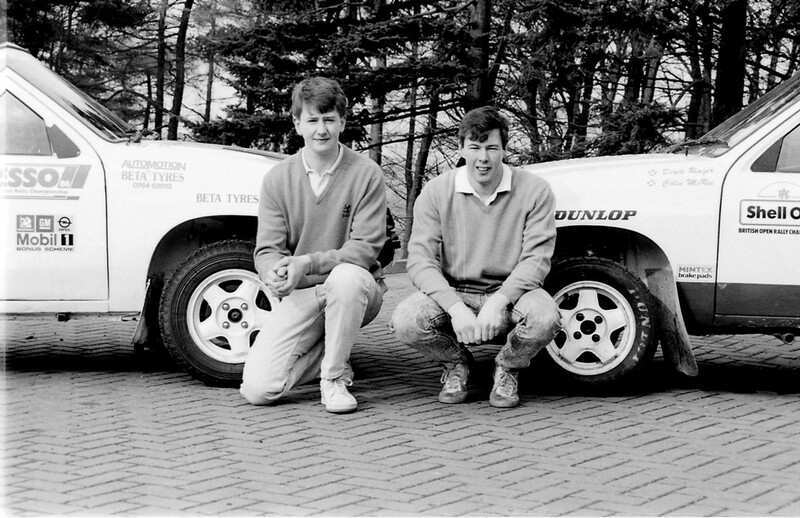 It was taken in early 1988 as a publicity shot for the local papers when the cars were built and the boys were ready to rally. It just seems like yesterday, or is that an age thing?